Are you searching for crane hire in Karratha, Pilbara region of Western Australia? Then you don't have to search any further! With more than 40 years of experience, Joyce Crane in Western Australia can provide you with the most suitable crane for your project, irrespective of its nature. We have a fleet of 65 cranes of different size, using different technologies and used for different purposes. 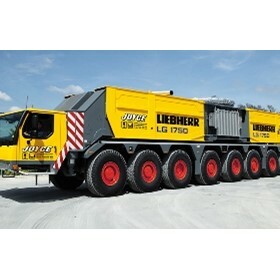 Thus, we can help you lift any weight from 6 to 750 tonnes. More than crane hire services, Joyce Crane in Western Australia offers you turnkey solutions. Our experts and technicians can easily assess your project and decide which of our cranes suits you best in terms of both efficiency and cost. Due to our numerous years of experience with projects in various niches, we can successfully complete any project that comes our way.